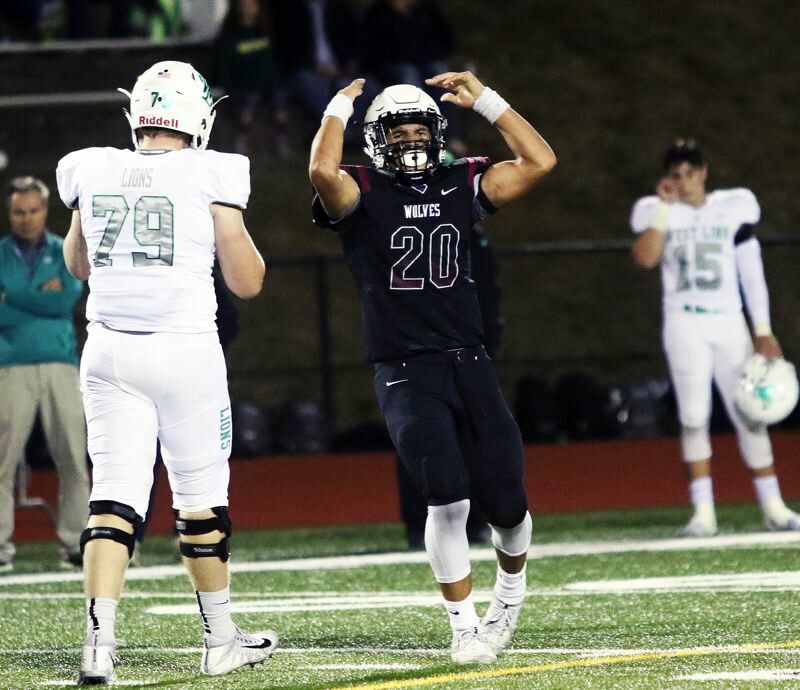 Last year, the Sherwood, Tigard and Tualatin high school football teams were among the squads battling for supremacy in the powerful Three Rivers League. 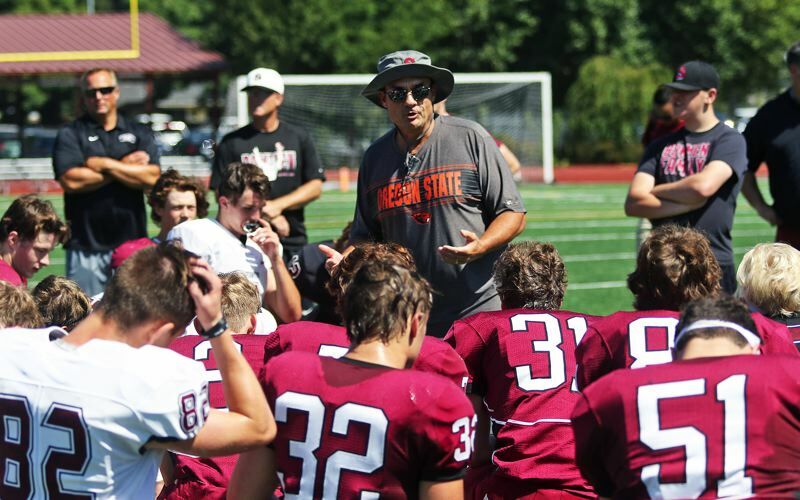 A year later, some things are the same —the Bowmen, Tigers and Timberwolves still have their sights set on league crowns. But some things are also totally different. Sherwood in no longer part of the Three Rivers League, as the moved have been moved to the Pacific Conference. As for the Three Rivers League, it still appears to be as strong as ever — just different. Newberg, along with Sherwood, have left the league. Meanwhile, Oregon City has been added to the mix in the Three Rivers League. The league is also different in that, under the new OSAA Class 6A format, not every team in the Three Rivers League will play each other. "While we're in a league, it doesn't feel like we're in a league," Tigard coach Craig Ruecker said. "It's a different position that the OSAA took on league play," Tualatin coach Dan Lever said. "I've been in four different states, and I've never seen this approach to league play before." "It's weird how they're working it this year," Sherwood coach Greg Lawrence said. "But it is what it is." Last year, in a very competitive Three Rivers League season, Tigard and Lake Oswego tied for the crown, both going 6-1 in TRL play. The Tigers look prepared to make another run at the title, and so do the Lakers, who return such standout players as Collin Bracken, Casey Filkins and Bryson Breeze, among others. But, and here's the disappointing part of this, Tigard and Lake Oswego don't play each other this year. West Linn, which won the Class 6A state championship in 2016, also looks to be strong again this year. Among the players returning from last year's team that finished third in the TRL standings at 5-2 (9-3 overall), are strong-armed quarterback Ethan Long and lightning-quick running back Dawson Jolley. Tualatin, which finished fourth in the TRL standings last year at 4-3 (7-4 overall), is also looking to move up this year. "We want to compete for the title," Lever said. "If you win the title, it sets you up for a good playoff run." Oregon City, which went 7-4 on the season a year ago, while finishing third in the Mt. Hood Conference, should also make some noise in the TRL this year. "Oregon City will be very good," Ruecker said. Lakeridge, which went 3-4 in league play last year (4-5 overall), should be improved, with the return of standout running back Jalen John and starting quarterback Charlie Maynes. Tualatin will not play against the Pacers this year. Canby, which went 1-6 in TRL games last year (2-7 overall) should also be better. "Truthfully, in the Three Rivers League, anyone can beat anyone," Lever said. "We have a lot of respect for every team in the league." Meanwhile, Sherwood isn't sure what to expect in the Pacific Conference. "I'm hoping our league will be tough," Lawrence said. "But I don't know if any league can match the Three Rivers League. We're going to miss playing Tigard and Tualatin." For football, other teams in the Pacific Conference include Century, Glencoe, Liberty, McMinnville and Newberg. "I believe we'll win the league," Lawrence said. "We have the talent." Liberty finished in a tie for second place in the Metro League at 5-2 last year, going 7-3 overall. The Bowmen faced Liberty in the first round of the Class 6A state playoffs, with Sherwood scoring a 49-28 victory. The Falcons do return some key players from last year's squad, including senior quarterback Bradley Norman and senior running back Aiden Maloney. "Libery will be a top team in the league," Lawrence said. "They have a lot of top athletes back." McMinnville, which went 6-4 last year, while playing in the Greater Valley Conference, could also be strong. Newberg went 2-7 last year. Century, playing in the Metro League, went 1-8. Glencoe, which doesn't play Sherwood this year, went 7-2 while playing an independent schedule. Sherwood, meanwhile, has a daunting non-league schedule this year, playing such state powerhouses as defending Class 6A state champion Clackamas, Central Catholic and West Linn. "That will be better for us," Lawrence said.